Want to amp up your stress relief? Enjoy a drink-on us with your service! We love to serve our freshly ground Lavazza Espresso Beans and Italian Amaretto Cookies and Biscotti, we can't wait for you to enjoy! Is this a wedding or special event? 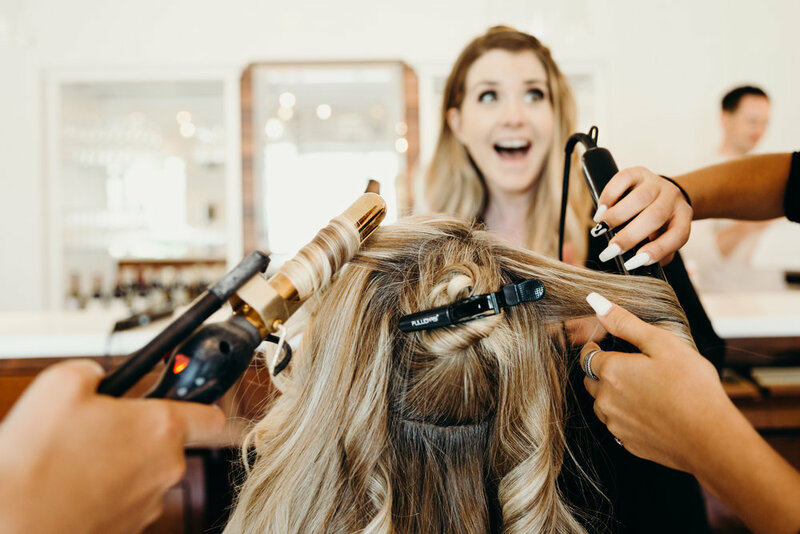 * Homecoming, prom, & weddings will automatically be assigned to a Special Event Styling Session to ensure we allow enough time for your big day!